All of you already know the benefit of apple cider vinegar for skin and hair. 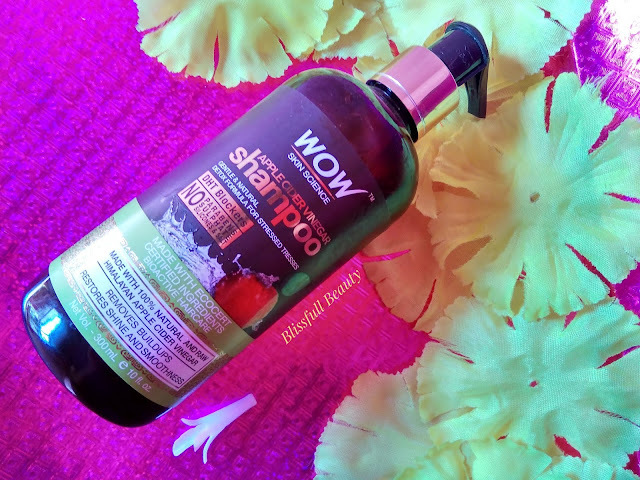 I am talking about today Wow skin science apple cider vinegar shampoo. Nowadays I liked the most wow skin science product because their products are free from paraben, sulfate and mineral oil. Their products are quite popular now. I already reviewed their apple cider vinegar face wash and peel-off mask. Undo the everyday damages heaped by styling products and pollution on your and scalp. 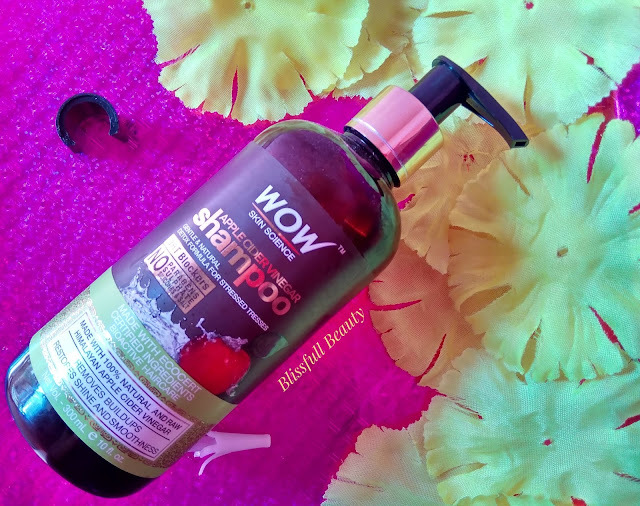 Cleanse your crowning glory with Wow Skin Science Apple cider Vinegar Shampoo, powered with organic and pure apple cider vinegar derived from genuine Himalayan apples & two natural DHT* blockers- Nettle Leaf & Saw Palmetto Extracts. Enriched with pure and natural botanicals, this sweet-smelling shampoo gently clears up dandruff and cleaners scaly buildup's to let your scalp breathe free and to leave your hair naturally smooth and shiny. Wow Skin Science Apple cider Vinegar Shampoo comes with a huge brown color plastic bottle with pump dispenser. There was a cap secured with a pump dispenser to prevent leakage of shampoo. As it comes with a huge bottle it does not travel-friendly packaging. All details about the product mentioned all over the body of the bottle. 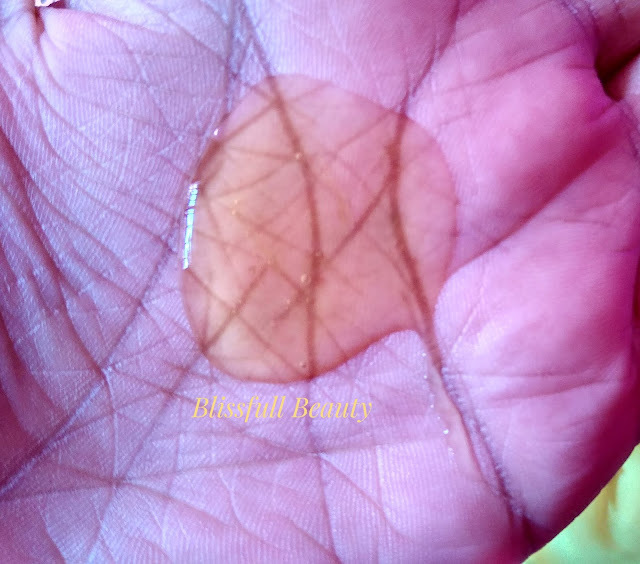 Wow, Skin Science Apple cider Vinegar Shampoo has a light yellowish color and gel kind of consistency which is easy to apply on hair. The fragrance of this shampoo exact apple cider vinegar fragrance. Wet hair, pour a generous dollop on the pa. Massage well into soaking wet hair and scalp using fingertips. Work up a rich lather. Rinse thoroughly. 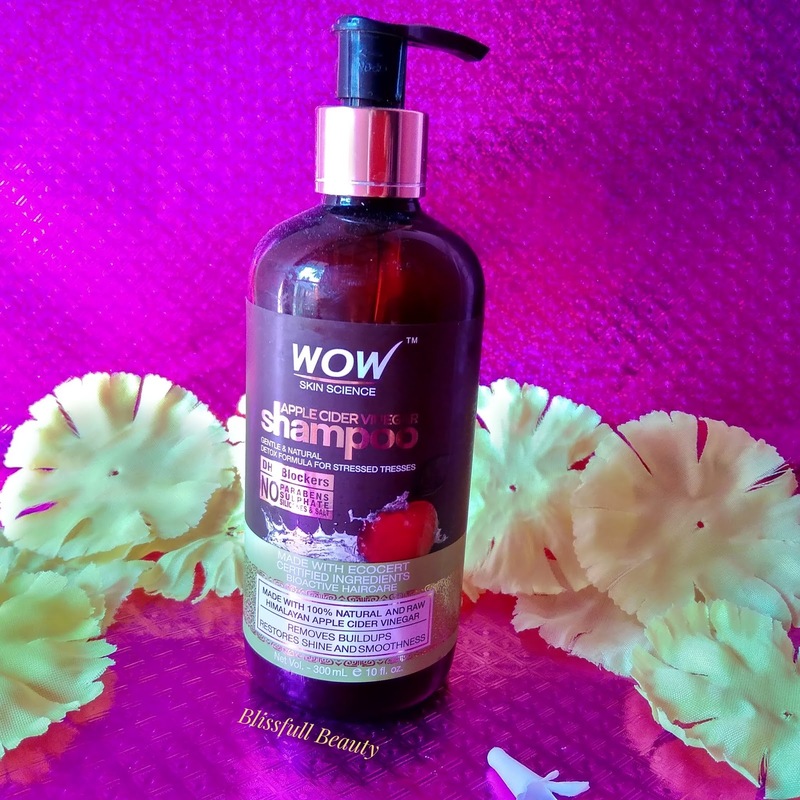 Recently I came across Wow Skin Science Apple cider Vinegar Shampoo and bought this shampoo from Flipkart their sale. Apple cider vinegar helps reduce dandruff and itchy scalp issue. I have not dandruff or itchy scalp. But I heard a good review about this shampoo. So I thought I should try it out. The shampoo has gel consistency and fragrance is exactly like apple cider vinegar. This shampoo cleanses hair very well removing all dirt from hair. After using this shampoo the first time I didn't feel any difference on my hair. But after using it thrice I feel my hair looks shiny and manageable. As I have dry and rough hair I notice this difference only. As I have not dandruff issue so I can't say about that. But I must say it is good shampoo but the price is very high and as compared to the price I expected more. It is ok kind of product for me and I like this only because it has free from paraben , mineral oil and sulfate. 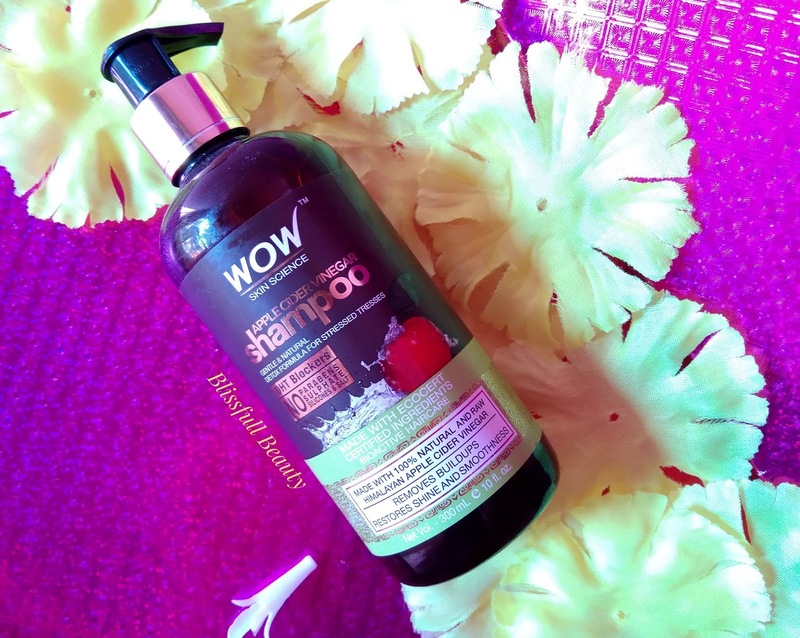 If you are already using this shampoo then share your experience in the comment section below.